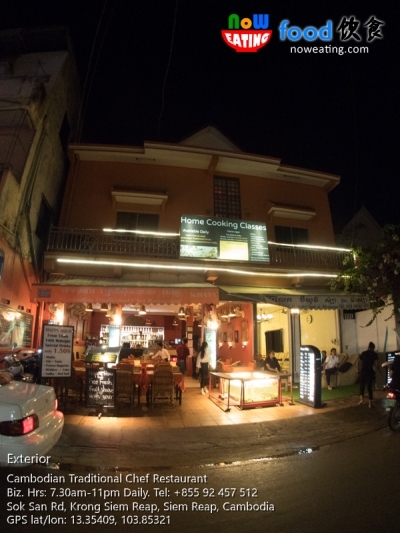 Pub Street/Night Market in Siem Reap town is a famous tourist spot with restaurants mushrooming in that area. Most of them, however, are not cheap compared to local restaurants in other regions (after all, Pub Street/Night Market are meant for tourists). We, however, found a Cambodian restaurant with reasonable price and decent food quality – Cambodian Traditional Chef Restaurant.